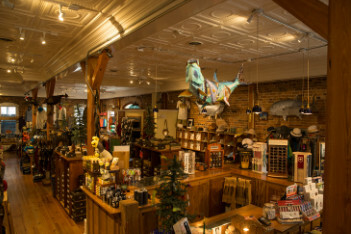 Apalach Outfitters is a full service specialty retail shop specializing in men’s and women’s clothing, fly fishing, inshore fishing and various other outdoor pursuits. 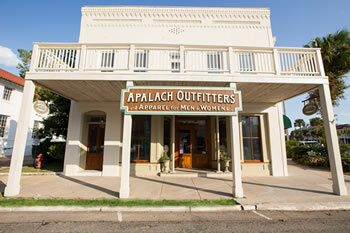 Apalach Outfitters is excited to welcome you to our shop in the heart of historic downtown Apalachicola, Florida. As a member of one of Florida’s oldest coastal communities, we specialize in men’s and women’s outdoor apparel and equipment. Brands like Orvis, Patagonia, The North Face, Vineyard Vines, Costa Del Mar, Free People and Simms are examples of the peerless quality you can expect from us. Our fly-fishing and light-tackle selection paired with expertise of local waters are dedicated to ensuring your success in Florida’s most productive fishing grounds. Whether you are on the water, on the beach or in the woods, Apalach Outfitters is proud to serve your needs. Bring the dog, grab the kids and come find out how we can outfit you to explore Florida’s Forgotten Coast. Our beautiful town Apalachicola, where the Apalachicola River meets the Gulf of Mexico, has long been a place where people have gathered to enjoy Mother Nature’s bounties. It does not take long for you to know that you are not in another typical Florida town. It is a non-pretentious sensibility that is blended from strong New England roots, charming southern traditions and an authentic ”Old Florida” laid back attitude. Our shop is housed in a 110 year old building (the Orman Building) with beautiful heart pine doors, window and floors; antique tin ceilings and beautiful turn of the century brick….truly reminiscent of a bygone era.